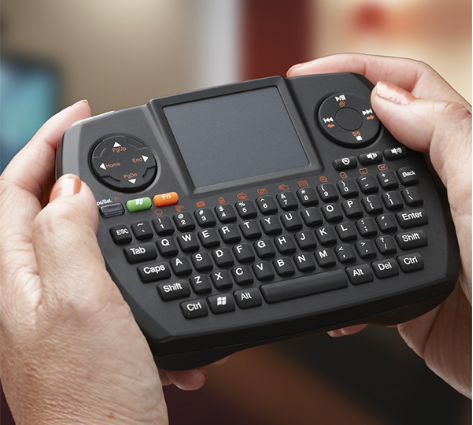 Wireless Ultra-Mini Touchpad Keyboard is the ideal companion for computer control from across the room. The game controller-like shape is instantly familiar in the hand. Typing is intuitive for Internet searching, texting and emailing. 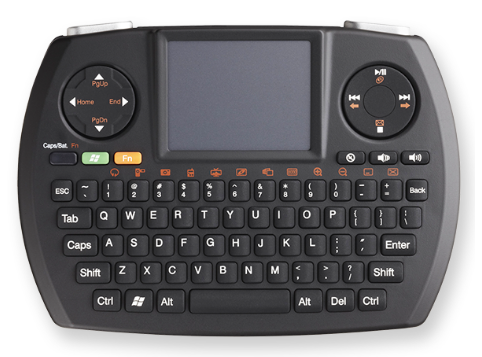 The integrated touchpad provides accurate and quick navigation with the shoulder buttons providing left and right mouse buttons. 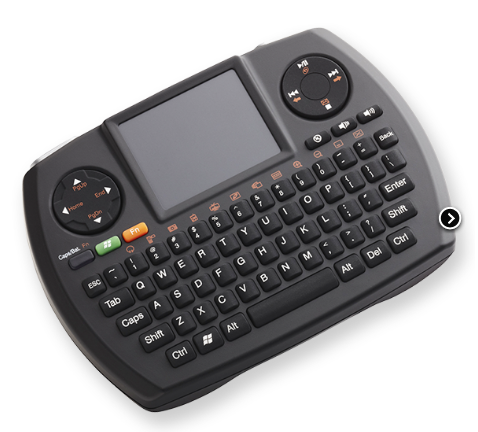 With up to a 33 foot wireless range, the Wireless Ultra-mini Touchpad Keyboard is perfect for home theater, living room, boardroom and classroom.